Long-gestating, the feature film debut from beloved comedy troupe Picnicface has finally hit theatres. 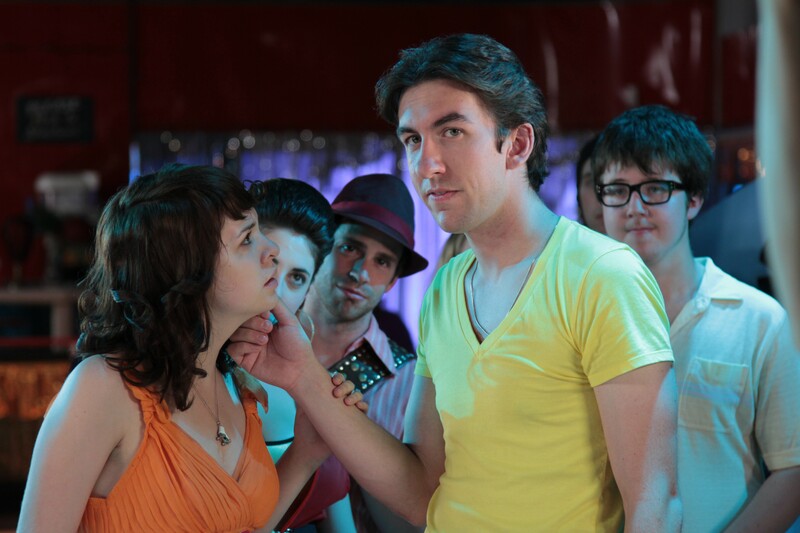 When arcade-pimping gangsters threaten his rink, and snobby prep school skaters disparage disco, roller-skating wonder Leo (Mark Little) must rally his funk to save the town and maybe get the girl (Kayla Lorette). Wisely, the 1970s satire is only a single element of this deeply funny movie. Playing multiple roles, all eight Picnicface members get moments to shine, as do outsiders like the impressive Pat Thornton as an oblivious thug named Beef. Little's talents in making the absurd normal serves him well as lead. Andrew Bush's direction, meanwhile, aptly plays with editing to maximize the insanity and combines roller disco action with some delightfully cheesy special effects. Your name's likely in the credits already, so go see Roller Town while you can. Roller Town is not showing in any theaters in the area.